Rooted in Longines' aesthetic tradition, this model from the “La Grande Classique de Longines” collection has lost none of its original characteristics or line. 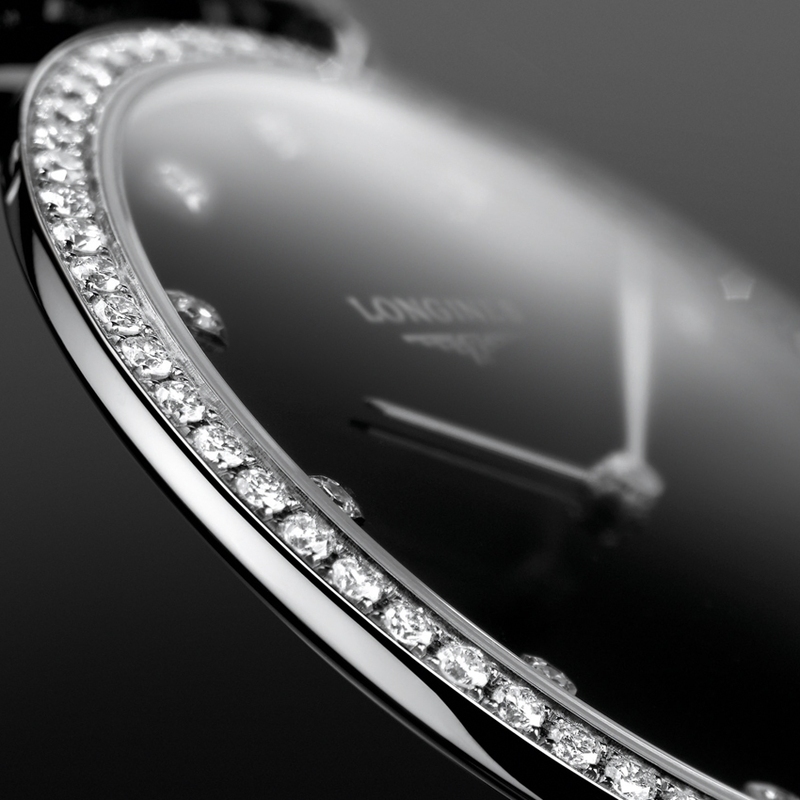 Its wafer-thin profile, just 4.40 mm, comes from the specific construction of the case - patented by Longines – whose back also forms horns for the strap. 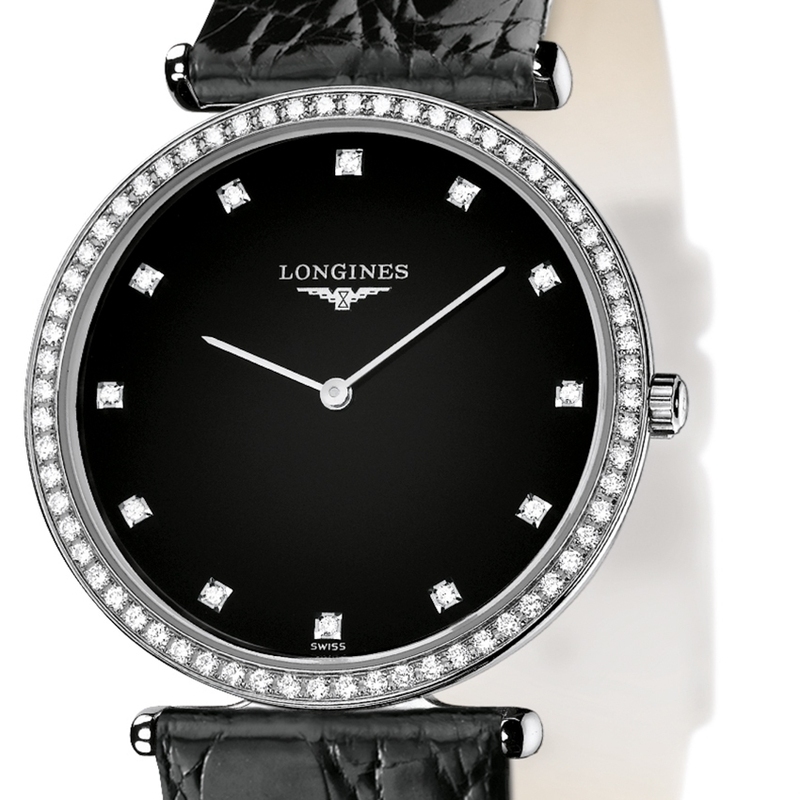 The epitome of sobriety, the lacquered black dial is enhanced by twelve diamond hourmarkers whose sparkle echoes the 64 stones that circle the bezel. With a timeless allure that will never go out of style, it confirms the relaxed elegance of the “La Grande Classique de Longines” collection; a charm as eternal as the classical tradition from which it derives.